Washington, DC – Israeli Prime Minister Benjamin Netanyahu spoke via satellite on the last day of AIPAC’s annual convention in Washington, DC, closing out a three-day pro-Israel festival marked by partisan jabs between opposing US politicians and news of rising conflict between Israel and Hamas. Speaking from Israel’s military headquarters, Netanyahu told attendees of the American Israel Public Affair Committee (AIPAC) conference he had just come from a meeting with his chief of staff and military leaders after exchange of fire between Israeli forces and armed groups in Gaza. Netanyahu also took the opportunity to label US critics of Israel’s treatment of Palestinians as “anti-Semitic”. “In recent weeks, we have heard a lot about the rise of forces who want to pull America and Israel apart. So, I can tell you one thing – they will fail,” Netanyahu said. “Those who seek to defame this great organisation AIPAC, those who seek to undermine American support for Israel, they must be confronted,” the prime minister added. Israeli warplanes targeted Palestinian homes in Gaza after a rocket landed on an Israeli home north of Tel Aviv, injuring seven. Amid an uneasy ceasefire, the prime minister said he was prepared to use whatever force was necessary to defend Israel. Netanyahu, who faces reelection on April 9, had cut short a visit to Washington, returning to Israel after meeting with US President Donald Trump at the White House on Monday. Some 18,000 people attended AIPAC’s conference, including 4,000 students from US colleges in a pro-Israel leadership development programme. 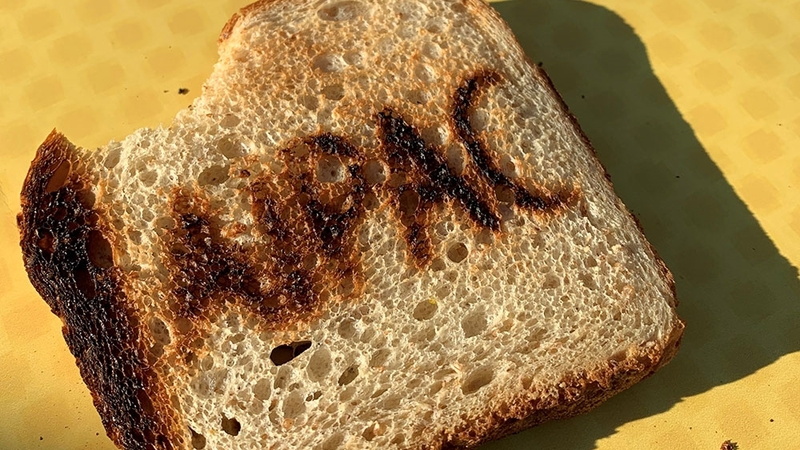 AIPAC is working to counter rising public opinion in the US in favour of the Palestinians on college campuses and among younger Jewish Americans. 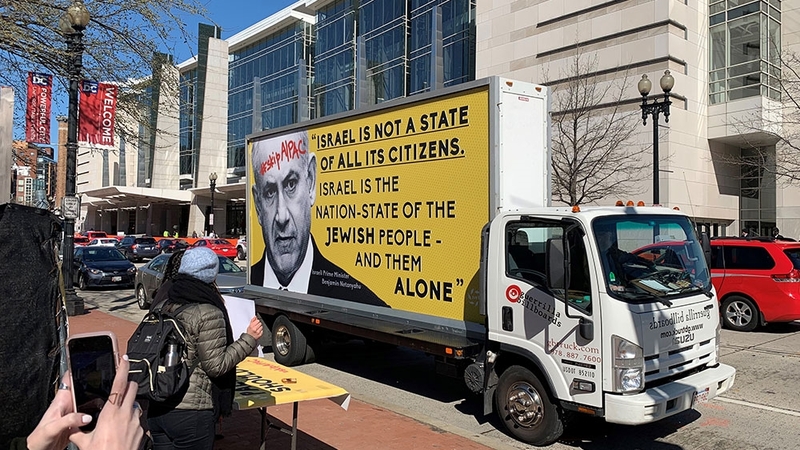 Outside the convention, members of Jewish Voice for Peace held a protest on a street corner offering AIPAC-branded toast to passersby and displaying a billboard on a truck depicting Netanyahu’s face with the hashtag #SkipAIPAC. “I am worried that if we do not unite to take action against a growing tide of anti-Semitism and anti-Israel sentiment we will live to regret what our politics become,” Senate Majority Leader Mitch McConnell, a Kentucky Republican, said. Washington has been alighted by a political brush fire ever since comments by first-year Representative Ilhan Omar, a Minnesota Democrat and one of two Muslim women elected in 2018, were interpreted as critical of Israel and critical of AIPAC with some claiming her comments were anti-Semitic. The House of Representatives passed a broadly-worded resolution on earlier this month condemning anti-Semitism and bigotry generally. The measure included a defence of AIPAC. Omar has remained defiant in the fact of criticism at AIPAC. “It’s been fascinating to see such a powerful conference so focused and so fearful of a freshman member of Congress,” Omar told reporters on Capitol Hill, according to reports. “I cannot stay silent when the entire Democratic Party is castigated as Jew haters when what we really need is leadership that unites this nation and the world against the rise of anti-Semitism, hatred and white supremacy across the globe,” Menendez said. Trump had told Republican donors at a private March 11 event at his Mar-a-Lago club, “the Democrats hate Jewish people,” according to a report citing people in attendance. “History warns us against letting anyone use the Jewish community as a pawn in a political game. For what is politically expedient today, may not be tomorrow when you are dealing with a leader who lacks any genuine understanding of the history of anti-Semitism, racial hatred and white supremacy,” Menendez said.